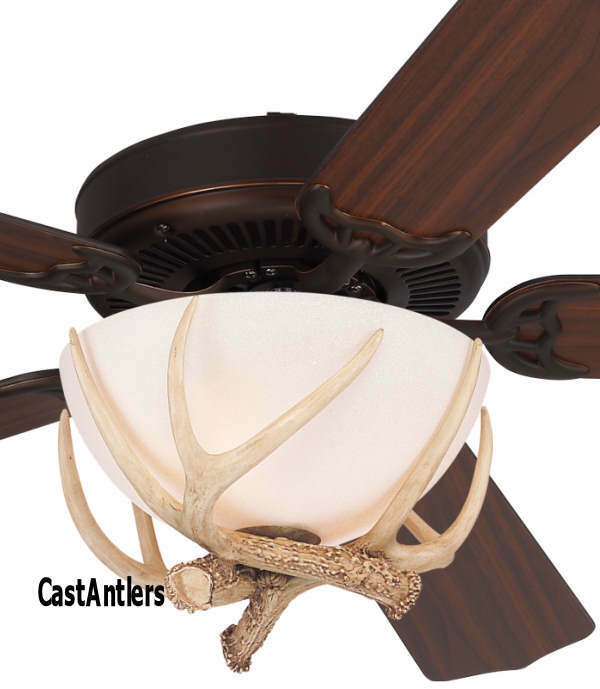 Ceiling Fan includes antler light and flush mount kit. Fan also includes 4" downrod. Roman Bronze Finish with American Walnut Blade finish. Antler light kit uses 3 60w bulbs (included). Rated UL Wet for outdoor or indoor use. * Extra Long Lead wire is 78"
* UL and C-UL listed. UL Wet Rated.